$500 + $50 PLO – Card are in the air! 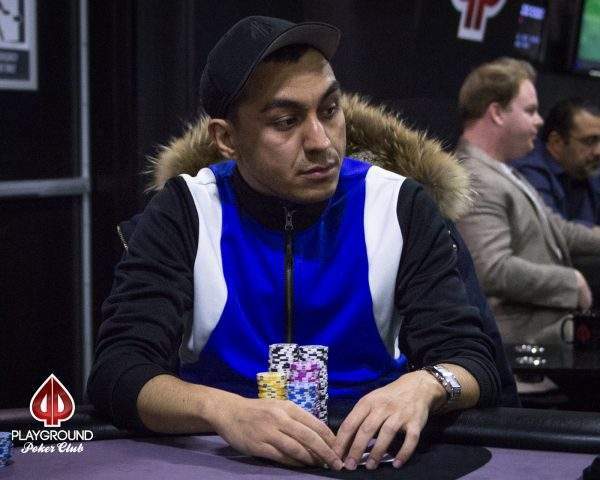 Day 2 of the PLO Event has started, with 14 players on 2 tables. Blinds are 1.2K/2.4K on level 13, and the Event will continue to completion. 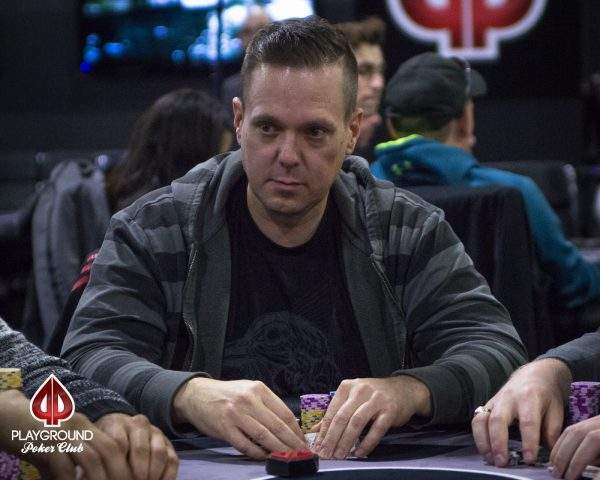 Action unfolds on the left-hand side of the tournament hall, next to Day 3 of the WPT Montreal. Good luck to all Day 2 qualifiers! Our PLO qualifiers will get back in the arena at 4pm this afternoon, for the completion of this 2-day Event. 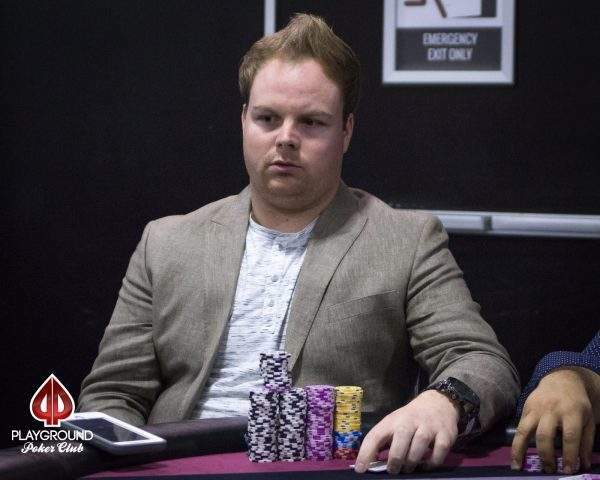 We will be monitoring both tables, especially table 32, where Sébastien Leboeuf and Raymond Latinsky, 1st and 2nd in chips, will be going at it. 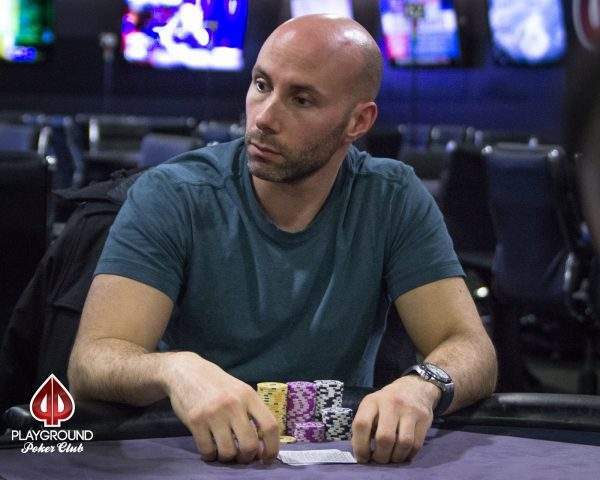 In the last moments of Day 1, Sébastien Leboeuf was seen adding even more chips to his already impressive stack, by pushing Manfred Gunther around. To be fair, Manfred made the right fold. 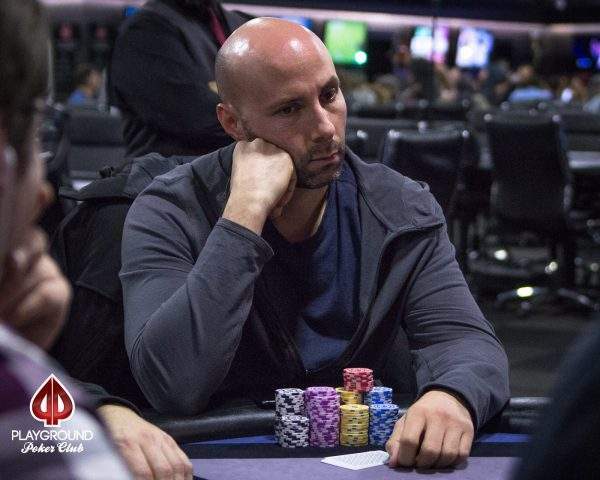 He mucked top 2-pair face up, on the flop, and Leboeuf showed middle set. In all likelihood, his showing of good hands is part of the reason why people tend to fold to him. 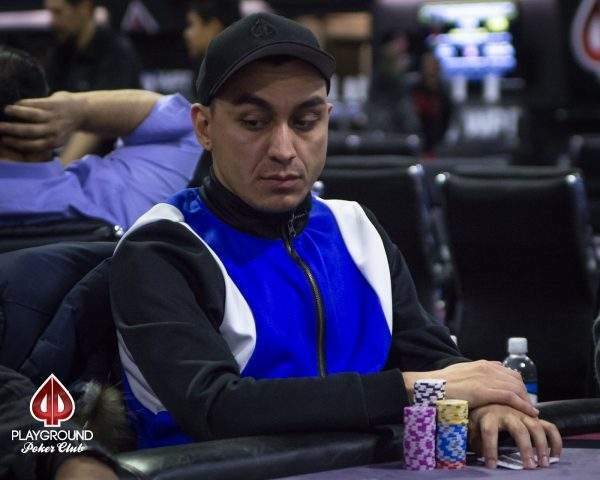 Pirooz Bayat will be leading his own table. Scroll down to see the full seating chart with counts. 14 people will take their seat at 4pm sharp, and will play until the Champion Trophy is awarded. The Day 2 restart in Event #13 is at 4:00pm and when the players re-assemble, they will take their seats as listed in this seating chart. 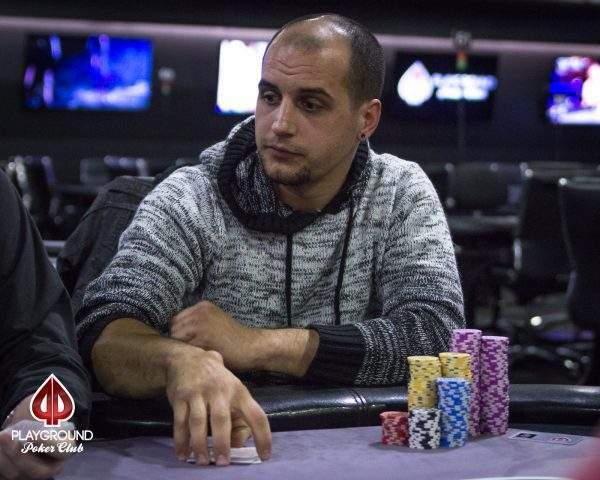 Day 1 of the $500 + $50 PLO Event has come to a close, with Sébastien Leboeuf towering above the rest. 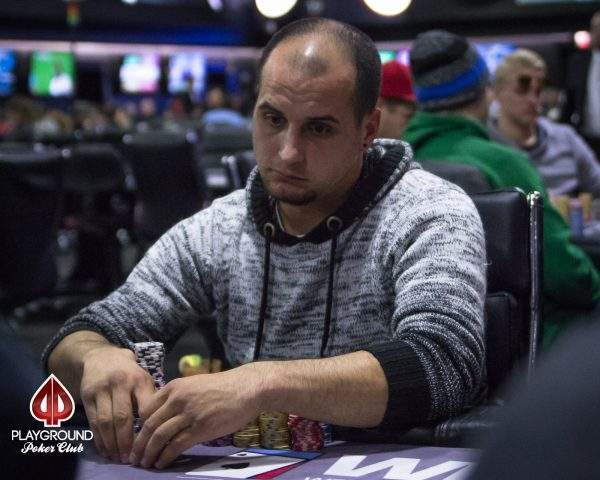 Event 13 is Sébastien’s very first Live PLO tournament. He reportedly learned the game 3 weeks ago, with Frédéric Breton as a teacher (Frédéric added that detail with a smile). Sébastien will be back tomorrow, knife between his teeth, with nothing to lose. 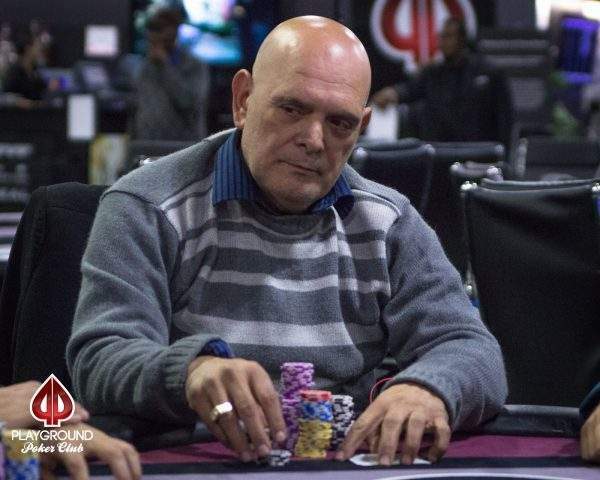 Raymond Latinsky bagged the second biggest stack, with 386,000 chips to his name. You will find below the list of our 14 Day 2 qualifiers and their counts. Play resume tomorrow at 4pm sharp. See you then!